RIDE PAY is an option available to our customers to enable them to use their app to pay for fares when picked up as a hail or from a rank. The process is mostly automated; however a please follow the instructions below to use successfully. A security code supplied by the app will still be required. 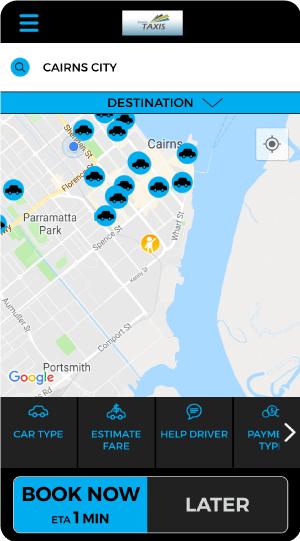 Drivers will start their meter as normal; the customer will then need to select the Ride Pay option from the side menu on the app. Customer will be prompted to enter a taxi number. This number can be located in the top left hand of the windscreen. Once the car number is entered in the app. 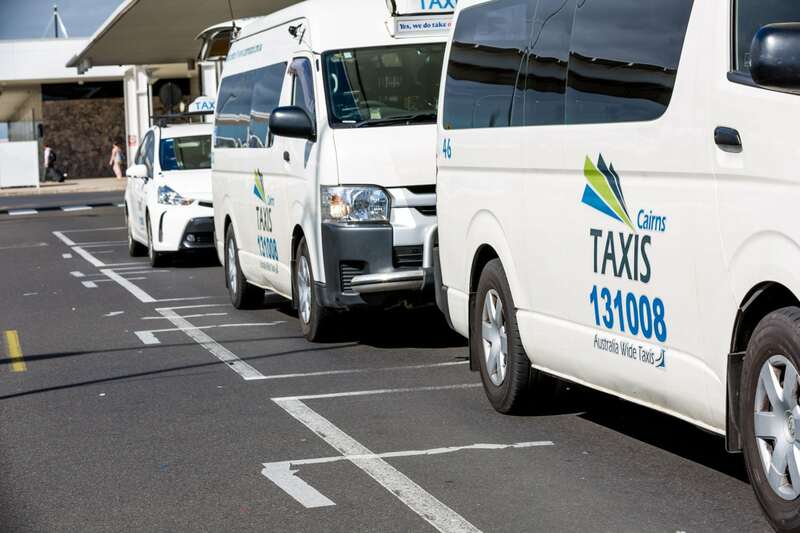 The Cairns Taxis dispatch system will automatically check the status and location of the nominated vehicle. If it is determined to be the vehicle performing the trip. The trip details will be modified on the drivers dispatch system, the stored credit card details added. A job modification sent to the driver advising that a security code for this app booking is required. The passenger will then need to supply the driver with the 4 digit security code to activate the credit card payment ($0 credit card fees). The driver is then required to process the in-app credit card in the same way as if a booking had been created using an in-app credit card payment.